[Pre-Ramadan Bootcamp] Ep 10: Checkpoint! How are we doing? 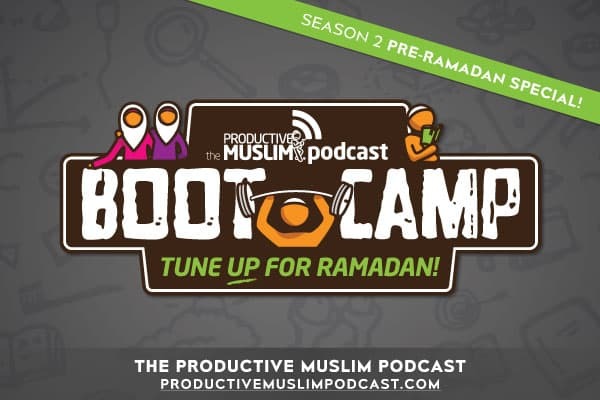 In the second season of the Productive Muslim Podcast, we go through the Pre- Ramadan Bootcamp with our host, Mifrah Mahroof. The purpose of this bootcamp is to help you prepare for Ramadan spiritually, physically and socially so that when Ramadan begins you will be in a better position to make the most out of it. In this episode, we want to make sure that the bootcamp is what you expected it to be and it’s moving in the right direction for you. We’re very adaptive at this bootcamp and we want to make sure that we align ourselves to what will help you achieve maximum preparedness for Ramadan – Spiritually, Physically, and Socially. What’s one thing or topic that if we covered here would make your bootcamp experience amazing?! Are you ready to make the most out of this Ramadan? If so, let us know your thoughts and ideas on iTunes or Stitcher Radio. 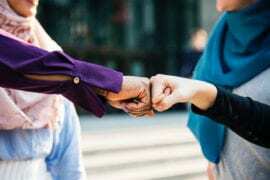 This helps us get the word out there and in turn, give us the opportunity to benefit more people.For more resources including pre-Ramadan, Ramadan, and post-Ramadan courses, check out the Productive Muslim Academy.